In this fascinatingly complex thriller, two people, each shattered by their past, team to solve a series of killings and abductions—a ruthlessly planned escalation that turns out to be merely the visible surface of something far more sinister. 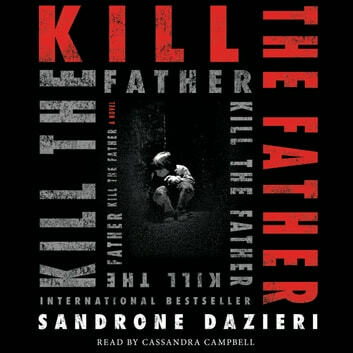 When a woman is beheaded in a park outside Rome and her six-year-old son goes missing, the police unit assigned to the case sees an easy solution: they arrest the woman’s husband and await his confession. But the chief of Rome’s major crimes unit doubts things are so simple. Secretly, he lures to the case two of Italy’s top analytical minds: Deputy Captain Colomba Caselli, a fierce, warrior-like detective still reeling from having survived a bloody catastrophe, and Dante Torre, a man who spent his childhood trapped inside a concrete silo. Fed by the gloved hand of a masked kidnapper who called himself “the Father,” Dante emerged from his ordeal with crippling claustrophobia but, also, with an unquenchable thirst for knowledge and hyperobservant capacities.